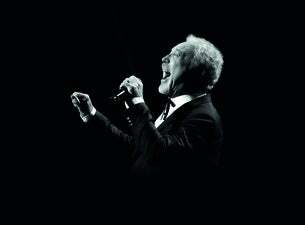 The legendary Sir Tom Jones has been a musical sensation since the 1960s. The Welsh rocker is responsible for smash hits like The Green Green Grass of Home, Delilah and What's New Pussycat? In recent years, Tom has reinvented himself, working with artists like Lady Gaga, Jack White, Robbie Williams, Stereophonics, All Saints, Jools Holland, Wyclef Jean and many more. Jones’ more than five-decade-long career has remarkably gone from strength to strength. Along with sustaining his popularity as a live performer and recording artist, he has garnered—at the age of 78—the best reviews of his career for two of his latest albums: 2010's Praise & Blame and 2012's Spirit in the Room. His most recent album is 2015's Long Lost Suitcase. Most recently, Jones has served as a coach on five seasons of the BBCs hit series The Voice and a further two series since the show moveed to ITV in 2017. Jones is heading back to the UK this summer for a number of outdoor concerts. He's most recently announced he'll headline Live at Chelsea on Saturday 15 June 2019, joining previously announced headliners Toto on Thursday 13 July and Gypsy Kings on Friday 14 July. Returning for it's fifth year, the event once again takes place in the immaculate grounds of London's Royal Chelsea Hospital in 2019. In addition, he'll perform shows at Vivary Park, Taunton, Peterborough's ABAX Stadium, Bristol's Brightside Ground, Colchester's Castle Park and Castle Museum, Dundee's Slessor Gardens and the Gloucestershire County Cricket Club.